I recently cooked what is undoubtedly the mind-blowingest of all the mind-blowing meat dishes. Bold statement, I know, but I honestly can't think of anything I've ever made that I was happier with then this porchetta. 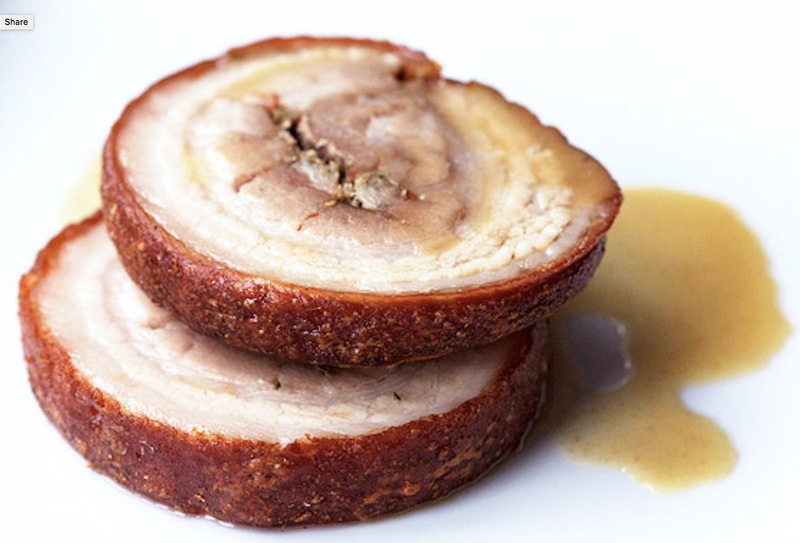 Nail this sous-vide, 36-hour slow cooked, all-belly masterpiece of a dish. 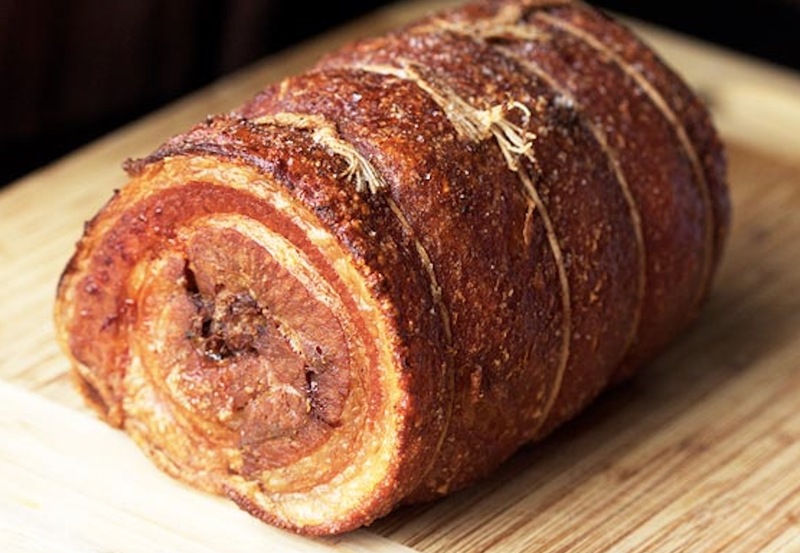 If roast is too large and unwieldy, carefully slice in half with a sharp chef's knife. 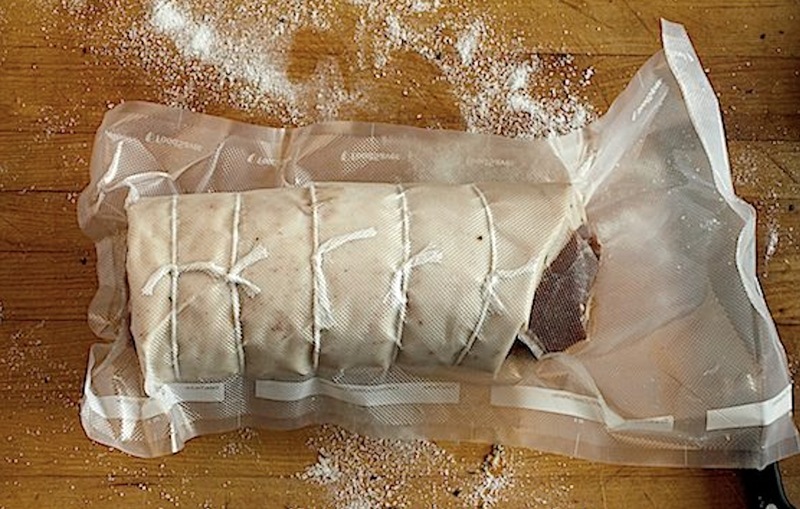 Seal in individual vacuum-sealed pouches and refrigerate at least overnight and up to three days. 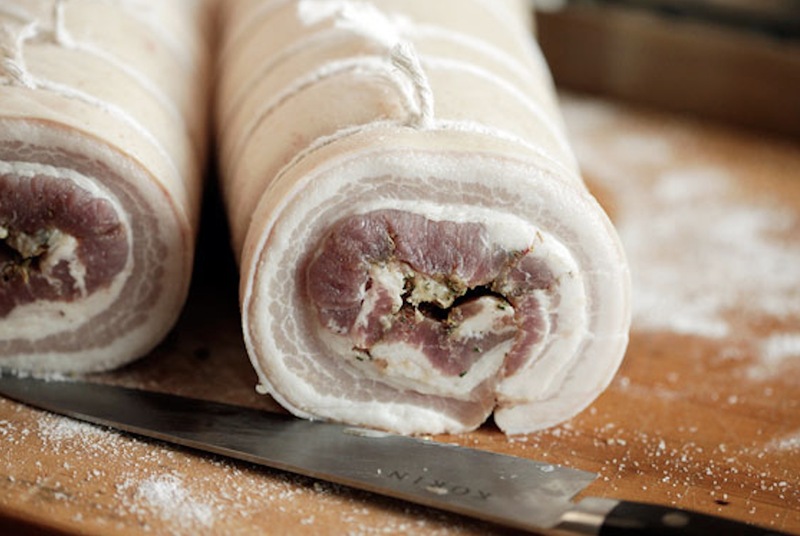 If desired, porchetta can also be frozen at this point for future use. 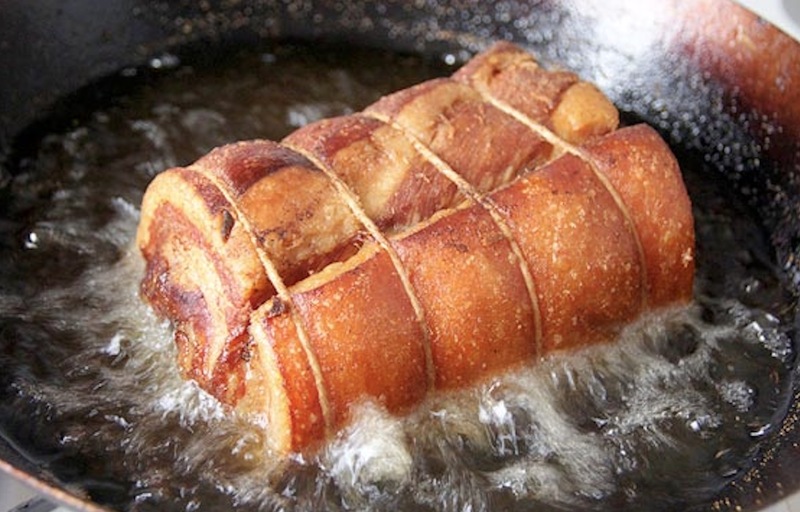 Set Anova Sous Vide Precision Cooker to 155°F / 68.3°C. 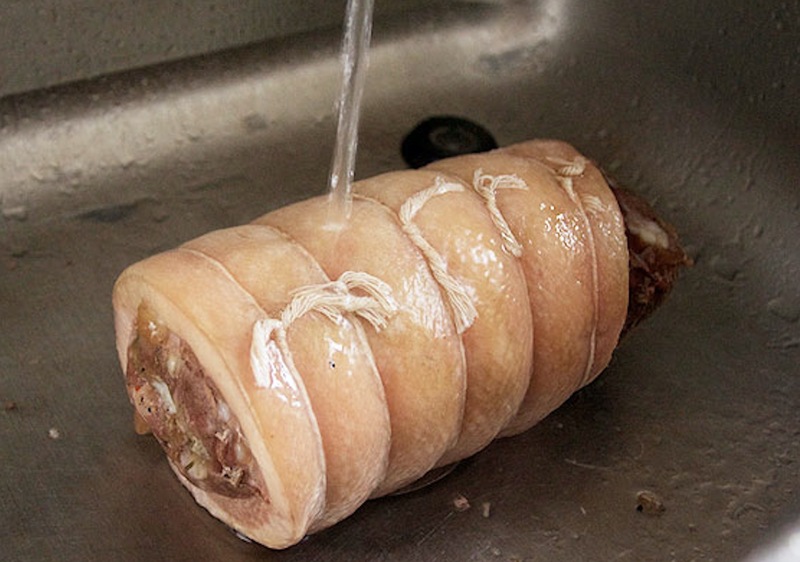 Transfer pork to a sink filled with ice water and chill for 15 minutes. 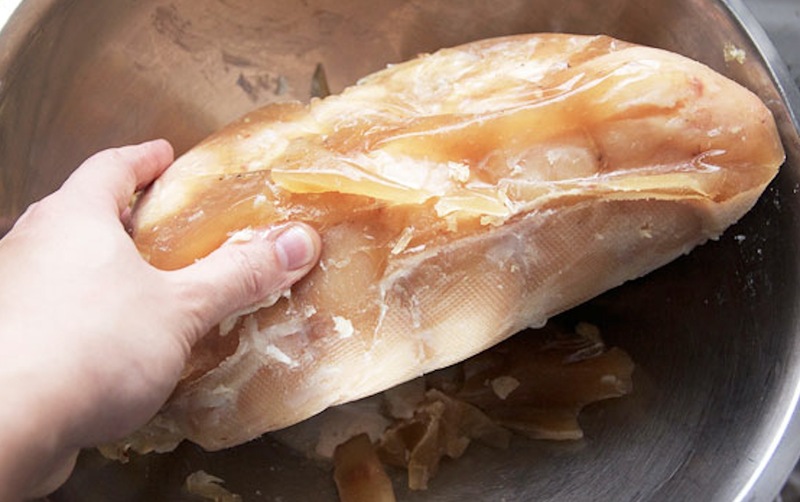 Remove from bag then carefully peel off congealed exuded cooking liquid and place in a medium saucepan.